Creating great content is the first half of success in content marketing. 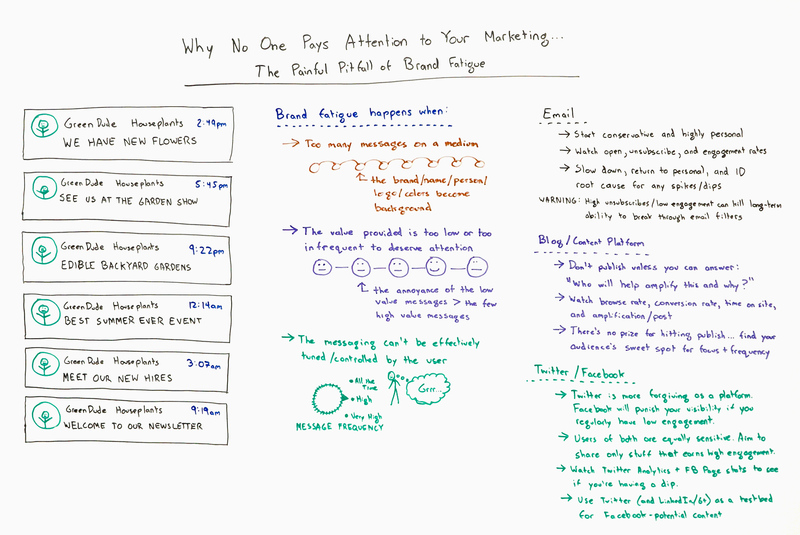 Getting quality content read by, and amplified to, a relevant audience is the oft overlooked second half of success. Facebook can be a content marketer’s best friend for this challenge. For reach, relevance and amplification potential, Facebook is unrivaled. Reach: 1 in 6 mobile minutes on planet earth is somebody reading something on Facebook. Relevance: Facebook is a lean mean interest and demo targeting machine. There is no online or offline media that owns as much juicy interest and demographic information on its audience and certainly no media has allowed advertisers to utilise this information as effectively as Facebook has. Amplification: Facebook is literally built to encourage sharing. Here’s the first 10 words from their mission statement: “Facebook’s mission is to give people the power to share…”, Enough said! Because of these three digital marketing truths, if a content marketer gets their paid promotion* right on Facebook, the battle for eyeballs and amplification is already won. For this reason it’s crucial that content marketers keep a close eye on Facebook advertising innovations and seek out ways to use them in new and creative ways. In this post I will share with you eight ways we’ve hacked a new Facebook ad format to deliver content marketing success. 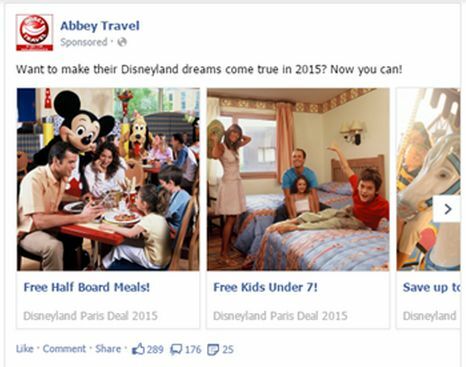 In 2014, Facebook unveiled multi-product ads (MPAs) for US advertisers, we got them in Europe earlier this year. They allow retailers to show multiple products in a carousel-type ad unit. If the user clicks on the featured product, they are guided directly to the landing page for that specific product, from where they can make a purchase. You could say MPAs are Facebook’s answer to Google Shopping. I believe Facebook has misunderstood how people want to use their social network and the transaction-focused format is OK at best for selling products. People aren’t really on Facebook to hit the “buy now” button. I’m a daily Facebook user and I can’t recall a time this year where I have gone directly from Facebook to an e-commerce website and transacted. Can you remember a recent time when you did? So, this isn’t an innovation that removes a layer of friction from something that we are all doing online already (as the most effective innovations do). Instead, it’s a bit of a “hit and hope” that, by providing this functionality, Facebook would encourage people to try to buy online in a way they never have before. The Wolfgang crew felt the MPA format would be much more useful to marketers and users if they were leveraging Facebook for the behaviour we all demonstrate on the platform every day, guiding users to relevant content. We attempted to see if Facebook Ads Manager would accept MPAs promoting content rather than products. 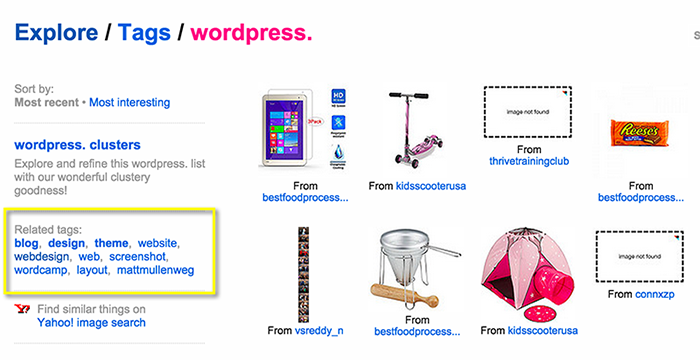 We plugged in the images, copy and landing pages, hit “place order”, and lo and behold the ads became active. We’re happy to say that the engagement rates, and more importantly the amplification rates, are fantastic! We’ve re-invented the MPA format for multi-advertisers in multi-ways, eight ways to be exact! Here’s eight MPA Hacks that have worked well for us. All eight hacks use the MPA format to promote content rather than promote products. Our first variation wasn’t a million miles away from multi-product ads; we were promoting the various packages offered by a travel operator. By looking at the number of likes, comments, and shares (in blue below the ads) you can see the ads were a hit with Facebook users and they earned lots of free engagement and amplification. NB: If you have selected “clicks to website” as your advertising objective, all those likes, comments and shares are free! The ad sparked plenty of conversation amongst Facebook friends in the comments section. Everybody knows the Internet loves a bargain. So we decided to try another variation moving away from specific packages, focusing instead on deals for a different travel operator. These ads got valuable amplification beyond the share. 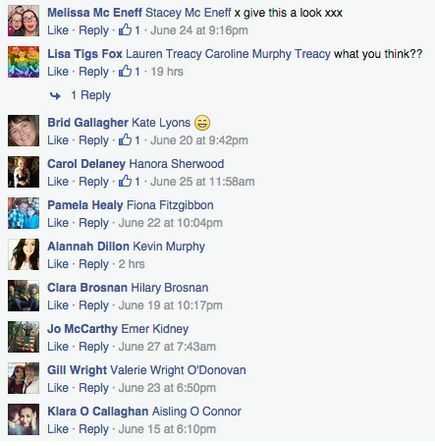 In the comments section, you can see people tagging specific friends. This led to the MPAs receiving further amplification, and a very targeted and personalised form of amplification to boot. Word of mouth referrals have been a trader’s best friend since the stone age. These “personalised” word of mouth referrals en masse are a powerful marketing proposition. It’s worth mentioning again that those engagements are free! Putting the Lo in SOLOMO. 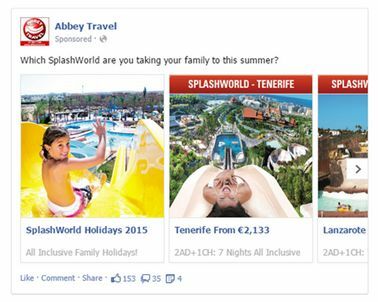 This multi-product feed ad was hacked to promote numerous locations of a waterpark. “Where to go?” is among the first questions somebody asks when researching a holiday. In creating this top of funnel content, we can communicate with our target audience at the very beginning of their research process. A simple truth of digital marketing is: the more interactions you have with your target market on their journey to purchase, the more likely they are to seal the deal with you when it comes time to hit the “buy now” button. Starting your relationship early gives you an advantage over those competitors who are hanging around the bottom of the purchase funnel hoping to make a quick and easy conversion. What was surprising here, was that because we expected to reach people at the very beginning of their research journey, we expected the booking enquiries to be some time away. 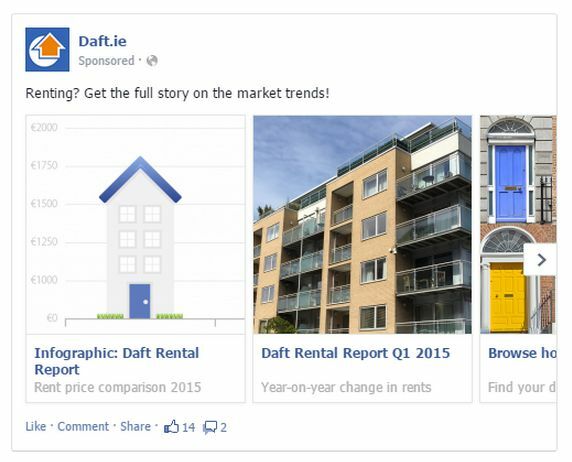 What actually happened was these ads sparked an enquiry frenzy as Facebook users could see other people enquiring and the holidays selling out in real time. 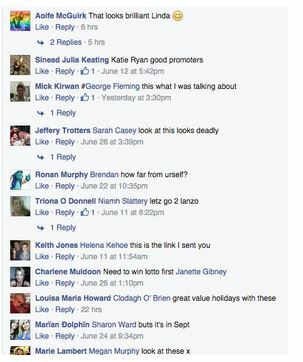 In fact nearly all of the 35 comments on this ad were booking enquiries. This means what we were measuring as an “engagement” was actually a cold hard “conversion”! 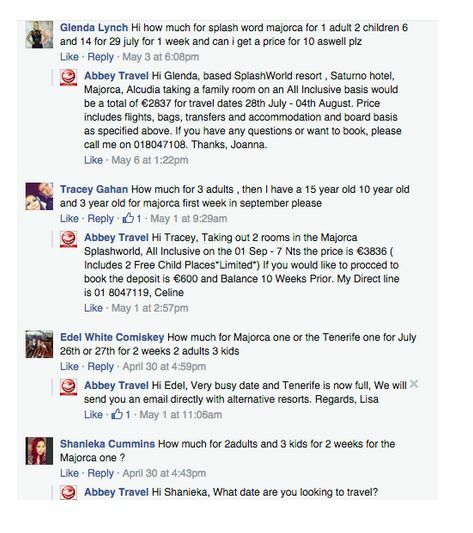 You don’t need me to tell you a booking enquiry is far closer to the money than a Facebook like. The three examples outlined so far are for travel companies. Travel is a great fit for Facebook as it sits naturally in the Facebook feed, my Facebook feed is full of envy-inducing friends’ holiday pictures right now. 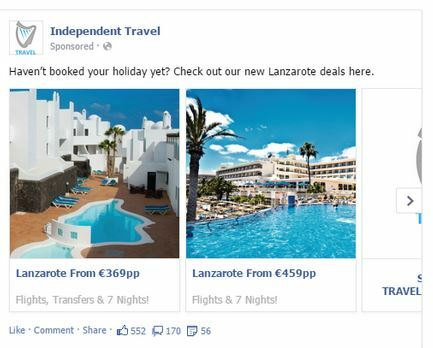 Another interesting reason why travel is a great fit for Facebook ads is because typically there are multiple parties to a travel purchase. What happened here is the comments section actually became a very visible and measurable forum for discussion between friends and family before becoming a stampede inducing medium of enquiry. So, stepping outside of the travel industry, how do other industries fare with hacked MPAs? Location, location, location. For a property listings website, we applied location targeting and repeated our Multi-Location Ad format to advertise properties for sale to people in and around that location. The same property website had produced a report and an accompanying infographic to provide their audience with unique and up-to-the-minute market information via their blog. We used the MPA format to promote the report, the infographic and the search rentals page of the website. This brought their big content piece to a larger audience via a new platform. This MPA hack was for an online TV player. 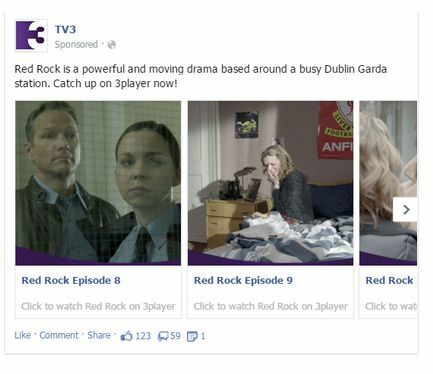 As you can see we advertised the most recent episodes of a TV show set in a fictional Dublin police station, Red Rock. Engagement was high, opinion was divided. 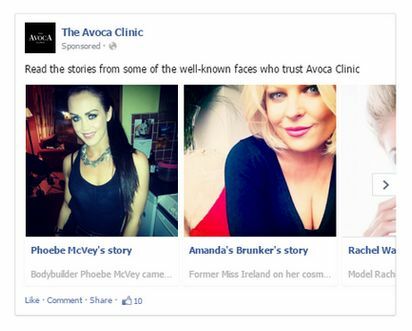 In the cosmetic surgery world, past patients’ stories are valuable marketing material. Particularly when the past patients are celebrities. We recycled some previously published stories from celebrity patients using multi-people ads and targeted them to a very specific audience. 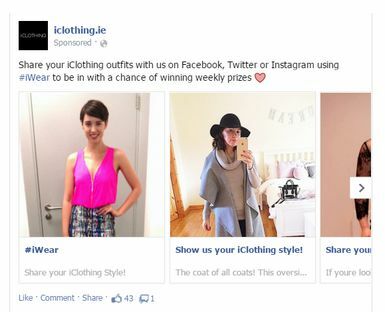 Have you witnessed the power of user generated content (UGC) in your marketing yet? We’ve found interaction rates with authentic UGC images can be up to 10 fold of those of the usual stylised images. In order to encourage further UGC, we posted a number of customer’s images in our Multi-UGC Ads. The CTR on the above ads was 6% (2% is the average CTR for Facebook News feed ads according to our study). Strong CTRs earn you more traffic for your budget. Facebook’s relevancy score lowers your CPC as your CTR increases. When it comes to the conversion, UGC is a power player, we’ve learned that “customers attracting new customers” is a powerful acquisition tool. Your happy customers Rand, that’s the who and the why! Check out these Multi-Package Ads targeted to past customers via custom audiences. 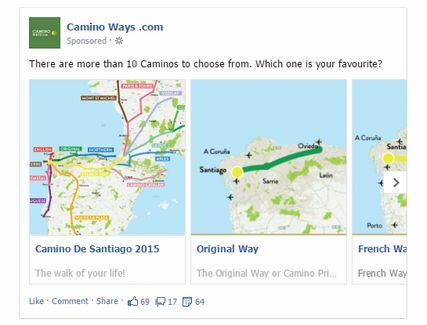 The Camino walkers have already told all their friends about their great trip, now allow them to share their great experiences on Facebook and connect the tour operator with their Facebook friends via a valuable word of mouth referral. Just look at the ratio of share:likes and shares:comments. Astonishingly sharable ads! Targeting past converters in an intelligent manner is a super smart way to find an audience ready to share your content. How will hacking Multi-Product Ads work for you? People don’t share ads, but they do share great content. So why not hack MPAs to promote your content and reap the rewards of the world’s greatest content sharing machine: Facebook. MPAs allow you to tell a richer story by allowing you to promote multiple pieces of content simultaneously. So consider which pieces of content you have that will work well as “content bundles” and who the relevant audience for each “content bundle” is. As Hack #8 above illustrates, the big wins come when you match a smart use of the format with the clever and relevant targeting Facebook allows. We’re massive fans of custom audiences so if you aren’t sure where to start, I’d suggest starting there. So ponder your upcoming content pieces, consider your older content you’d like to breathe some new life into and perhaps you could become a Facebook Ads Hacker. I’d love to hear about your ideas for turning Multi-Product Ads into Multi-Content Ads in the comments section below. We could even take the conversation offline at Mozcon! *Yes I did say paid promotion, it’s no secret that Facebook’s organic reach continues to dwindle. The cold commercial reality is you need to pay to play on FB. The good news is that if you select ‘website clicks’ as your objective you only pay for website traffic and engagement while amplification by likes, comments, and shares are free! Those website clicks you pay for are typically substantially cheaper than Adwords, Taboola, Outbrain, Twitter or LinkedIn. How does it compare to display? It doesn’t. Paying for clicks is always preferable to paying for impressions. 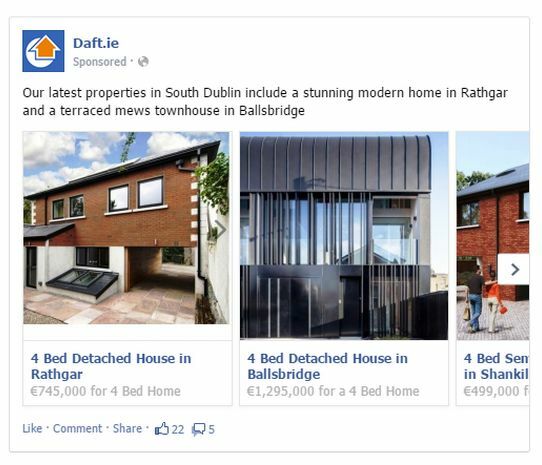 If you are spending money on display advertising I’d urge you to fling a few spondoolas towards Facebook ads and compare results. You will be pleasantly surprised. Posted in Expert SEO Consulting	| Tagged ... ..., +2, |Add, |Adword, |Adword Keyword Tool, |GoogleAdwords, 2014, 6543777|Best, About, Above, Acquisition, Actually, Ad, ads, advantage, Advertising, Adwords, Agency|Company|New, Agency|Company|San, always, amplification, Amplify, Another, answer, Area|, Aren't, Around, Audience, audiences, battle, became, Because, Become, Becoming, Been, Before, beginning, Believe, Below, Best, Between, Beyond, big content, bit, Blog, Blue, Boot, breathe, Budget, Built, bundle, bundles, Button, buy, Can't, carousel, ccw, ccw-atrib-link, celebrity, Challenge, Check, Clicks, Close, cold, Come, comments, comments section, commerce, Commercial, companies, Compare, Competitors, Connect, Consider, Consulting|Search, content, content marketer, content marketers, content marketing, content piece, content pieces, content sharing, conversation, conversion, copy, Could, Creating, Creative, crucial, CTR, Custom, Customer, Customers, Cyrus, Daily, daily Facebook user, deal, Deals, Deliver, Demo, demographic information, Design|Social, Different, Digital, digital marketing, discussion, display, display advertising, Doesn't, Doing, Don't, Down, Dublin, e-commerce website, each, Earlier, Early, Earn, Earned, Earth, Easy, Effective, Effectively, encourage, Engagement, engagement rates, Episode, Europe, even, Every, Everybody, Exact, examples, Exclusive, exclusive digest, experiences, Expert|Seo, eye, eyeballs, F., Facebook, Facebook ad, Facebook ad format, Facebook ad format, facebook ads, Facebook Ads Hacker, Facebook Ads Manager, Facebook Ads Manager, Facebook Ads Manager, Facebook advertising, Facebook advertising innovations, Facebook feed, Facebook friends, Facebook News feed, Facebook News feed, Facebook user, Facebook users, fact, Family, fans, FB, featured, feed, find, first, Fishkin, fit, Focused, Fold, form, format, FORUM, Found, free, friction, friend, FRIENDS, from, full, functionality, Funnel, Future, gets, Getting, give, Gives, Gone, Good, good news, Google, Google Shopping, Great, great content, great experiences, Greatest, Guided, Hack, Hacking, Hacks, half, Happened, happy, Hard, Have, Here's, High, hindi|Seo, holiday, Holidays, hope, hottest pieces, How..., HUNT, Ideas, Images, impressions, Increases, industries, Industry, Infographic, Information, innovation, Intelligent, interaction, internet, Into, invented, Isn't, It's, Journey, juicy, Just, KEEP, Knows, Landing, landing page, landing pages, Larger, larger audience, Layer, Leveraging, life, Like, Likes, link, Linkedin, Links, Listings, location, locations, Look, Looking, Love, Loves, Machine, Mailer, Manager, Market, Marketer, Marketers, Marketing, marketing success, marketing|6198318589|Best, Marketing|Automate, Marketing|Get, Marketing|Great|Increase|Business, Marketing|Search, Marketing|Web, Massive, Match, material, Mean, Means, Measuring, Media, Media|Multimedia, Medium, Million, Minute, Minutes, mission, mistake, Mobile, money, more, Most, mouth, Moving, Moz, Moz team, Much, multi-product ads, Multiple, multiple products, MultiProduct, Naturally, Need, network, Never, new customers, new life, new platform, News, news feed, number, of SEO, Offer, Offered, Offline, Older, Online, only, operator, opinion, order, Organic, organic reach, Outbrain, Outside, Over, Package, Packages, Page, Pages, Paid, paid promotion, parties, Past, Patients, People, Pictures, piece, pieces, place, Planet, planet Earth, platform, play, plenty, Post, potential, Power, Powerful, powerful marketing, Process, product, products, Promote, Promoting, PROMOTION, Properties, Property, Provide, purchase, quality, quality content, Questions, Quick, rad links, Rand, Rand Fishkin, rates, ratio, Reach, Read, reading, Ready, Real, real time, reality, Really, reason, Recent, Referral, Referrals, relationship, relevance, relevancy, Relevant, relevant audience, relevant content, relevant targeting Facebook, relevant targeting Facebook, Remember, Report, research, research process, Researching, Results, retailers, rewards, Right, ROCK, said, Sale, same, score, Search, Second, Secret, section, Seek, Select, semimonthly mailer, SEO, SEO news, SEO|6198318589|Best, Set, share, shares, sharing, Shopping, Show, Sign, Simple, Smart, smart way, Social, social network, some, somebody, specific, specific audience, spending, Start, Starting, statement, Station, Stories, Story, Strong, Study, stuff, Success, Super, Support, Taboola, take, Target, target audience, target market, Targeted, Targeting, Team, techniques|what, Tell, Than, their, Them, There, these, They, Think, Those, Three, Time, Tips, Told, Tool, Tour, Traffic, Traffic|Best|Online, Travel, travel industry, trick, trip, truth, try, TV, Twitter, type, Unique, Updating, urge, use., Used, useful, User, Users, using, variation, Various, Very, Video|Marketing|Video, Views|New|Online, Want, way, Ways, Website, website traffic, Well, were, Wineries Geelong wineries|, Word, Words, work, World, World's, worth, would, Year, you. A hashtag is the wonder of the past decade. It was born to address the need to organize and make sense of the overwhelming social media buzz. Thanks to active and creative user adoption, hashtag support has been added to most popular social media platforms. This article shows how different social media sites make use of hashtags. Most importantly, it shares some insight into how you can make the most effective use of hashtags for your brand. Twitter hashtags don’t support special characters like +, !, $, %, -, ^, &, *, etc. They do support letters, numbers and _ (underscore). There are no hashtag limits (length, number) as long as you keep your message within 140 characters (which is already limiting in itself). While Twitter hashtags are reported to increase engagement, the most efficient way to use them is through hosting and participating in Twitter chats. Here’s a detailed tutorial on hosting a Twitter chat. Event hashtags (conferences, festivals, etc.) also work very well on Twitter. You don’t need to actually be in an event to network with people through the official hashtag. Event organizers usually market the official hashtag very well, which means additional exposure for you if you use it. Twitter search results are ranked by most popular. You can switch to “All” results, which are filtered by date. Hashtagify tracks trending hashtags and shows “related” hashtags for any base terms you provide. TwChat lets you discover, participate in, and easily host Twitter chats. It’s also a useful tool for monitoring and archiving any hashtag streams. Like Twitter, Instagram hashtags don’t support special characters like +, !, $, %, -, ^, &, *, etc. They do support numbers and _.
increase your following dramatically, especially if you use hot and trending hashtags. The best use of hashtags on Instagram is to participate in hashtag games like #tbt and #MondayBlues. Both can make your Instagram posting very consistent (e.g., you have a theme for every day of the week) and increase your following and interactions.) In my experience, people are very willing to click these specific hashtags to see the photos of other participants. Location-based hashtags also work very well for Instagram. I use both abbreviated and full location names (#la and #losangeles, for instance). Instagram search results are sorted by “most recent”. Use Websta to track hot hashtags on Instagram. The only official rule for Google Plus hashtag character support is “no spaces”. However, you may have trouble using any characters (which are not letters, numbers or underscore) because Google Plus will attempt to drop them from the linked part of the hashtag. There’s no way to make a hashtag with numbers only (e.g., #2015). Google Plus has perceived hashtags differently from the very start. Instead of letting users organize and monitor their conversations, Google Plus hashtags allow for greater exploration of the platform, by Google and users. This explains why Google Plus updates are auto-hashtagged, meaning that they are added automatically by Google when the topic is clearly discerned. There are no known limits to the number of hashtags you can add to Google Plus posts. Unlike Twitter and Instagram, “specific” hashtags (e.g., games, events, and locations) don’t seem to work well on Google Plus. Instead, I try to let Google understand what my update is about by using descriptive hashtags (e.g., #marketingtips). seem to be ranked by popularity. Moreover, search results are powered by “related” hashtags. Sometimes the result will even miss your initial search term. 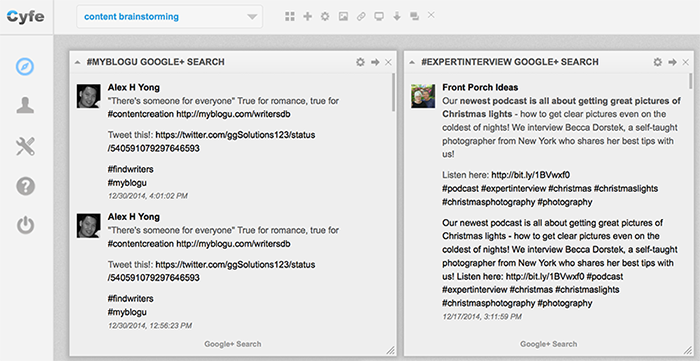 Cyfe is the only tool I know of that supports searching and archiving Google Plus hashtag results. Pinterest hashtags have been quietly supported for some time. “Supported” means the word after the # is clickable (and only in the description). There are no official rules or limitations on the number of hashtags you can add to a Pinterest post, and Pinterest hashtags seem to support the same set of characters as most other social platforms do. Pinterest hashtag support remains limited. 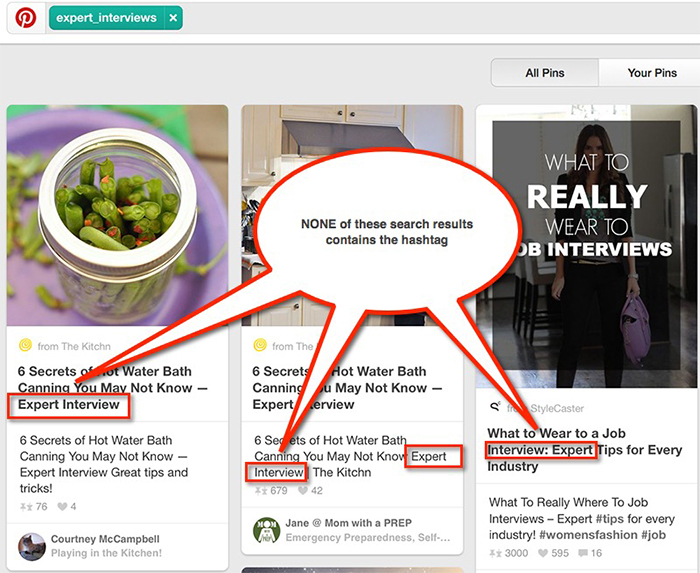 If you search Pinterest by a hashtag, search results will include all types of words and phrases from the hashtag. This makes using Pinterest hashtag almost pointless. The only reasonable way to use Pinterest hashtags is to use them for branding, especially for cross-promotion (to further spread awareness of your event, Twitter chat, etc.). Tumblr hashtags work similarly to WordPress tags. They will be linked only in the “tags” field. You can’t create an in-text hashtag by simply adding # in front of a word. Unlike WordPress, Tumblr hashtags improve the discoverability of your updates across the whole platform. Here’s a quick example: I am not really active on Tumblr, but I do post random updates from time to time. this post. That day I saw a sudden spike in activity on my pretty abandoned Tumblr blog! You can have spaces, apostrophes, commas, dots, and many other symbols in your Tumblr hashtags. There are no limitations as to how many hashtags you can use on Tumblr, but only the first five hashtags you use are searchable. Your update will only make it to the search results if it’s an original one, not a re-blog, so don’t bother adding tags if you re-blog. Any hashtag search will bring up users who recently used those hashtags for you to follow, which means that hashtags are huge for acquiring followers on Tumblr. Tumblr filters hashtag search results by “most popular” by default. You can switch this to “most recent”. feature which allows anyone to add hashtag search results to their “favorite search”. There are no stats available as to which hashtags are tracked by more people, though. seems to only link letters and numbers. While serving the same goal (e.g., organizing photos), Flickr tags and hashtags do behave slightly differently. Clicking on a Flickr tag brings you to search/?tags= page, where you can filter by license, search for groups, and more. It’s still not quite clear whether hashtags improve visibility on Flickr, or how different they are from tags, which have existed on the platform for ages. The fact that Flickr hashtags were announced and are now proactively supported in the iOS app may indicate that the whole point of a hashtag on Flickr is to make it easier to organize your photos from the iPhone. Facebook hashtags support the standard set of characters that most popular social platforms support. There are no limitations as to the number of hashtags you can add to a Facebook update. Facebook hashtag search is somewhat weird. Try searching for #california, for example. You’ll likely end up landing on a Facebook page instead of a hashtag search results page. An easier way to generate hashtag search results is to simply add the hashtag after facebook.com/hashtag/ (e.g., facebook.com/hashtag/dogs). You can also bring up hashtag search results by clicking on any hashtag in your Facebook stream. Facebook’s ranking algorithm is complicated. It seems to be a mix of lots of factors, including how closely you are related to the person posting the update, how often you interact with him/her, how popular the actual update is, etc. I don’t use hashtags on Facebook beyond random cross-posting from Instagram. I have also seen quite a few of my friends become irritated when someone uses hashtags, so I guess it’s too early to tell. With Instagram’s help, however, hashtags may ultimately become widely adopted by Facebook users.